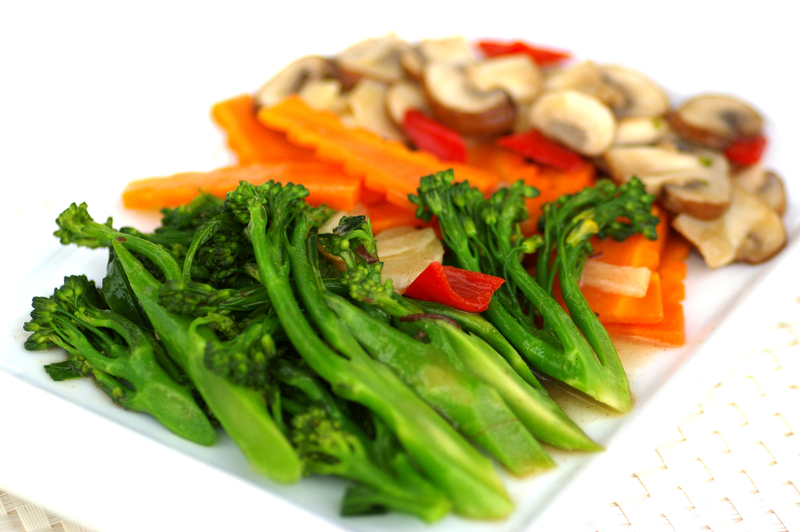 Have meatless dishes and only fresh green vegetables to maintain a healthy diet. Here’s a healthy recipe using a healthy mix of vegetables. Heat sesame oil in a preheated wok. Sauté ginger briefly, then add all the vegetables. Add seasoning and toss briskly to combine. Stir in thickening and fry briefly. Dish out and serve hot.